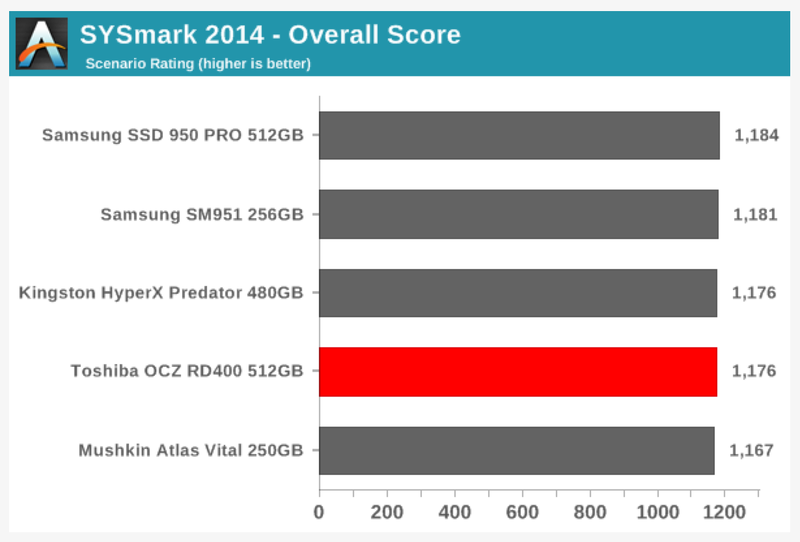 Ganesh T S over at AnandTech reviews “the Toshiba OCZ RD400 M.2 NVMe SSD on a Skylake NUC” using BAPCo’s SYSmark 2014. According to AnandTech, “Since our evaluation also keeps all the system hardware and software the same, except for the storage drive, it also fits SYSmark 2014’s sensitivity analysis model. Head on over to AnandTech for the full “Toshiba OCZ RD400 M.2 NVMe SSD on a Skylake NUC” review here.